[15 March 2016, Hong Kong] Rachmaninov’s darkly romantic, brilliant Piano Concerto no. 2, played by virtuoso Ukrainian pianist Anna Fedorova, is at the heart of this programme. Conductor Jun Märkl, known for his clarity and beauty of sound, also leads the orchestra through the exuberant high spirits of Glinka’s exciting overture from Ruslan and Ludmila, as well as a very different kind of concerto – Bartok’s Concerto for Orchestra which will showcase every section of our very own Hong Kong Philharmonic Orchestra (HK Phil). Described by HK Phil Music Director Jaap van Zweden as “a wonderful artist, a great pianist”, Anna Fedorova’s international concert career took flight while she was only a child. Now 26 years old, the depth and power of her playing has moved audiences around the world, while her YouTube video of Rachmaninov’s Piano Concerto no. 2 gained over 6 million “likes”. Audiences in Hong Kong will have a chance to hear her live performance of this dazzling and popular concerto in the concert hall. After the technical and critical disaster of the premiere of his first symphony, Rachmaninov plunged into despair and had to seek hypno-therapy to start composing again. Fortunately, the triumphant premiere of the second piano concerto in Moscow restored his self-confidence. The second movement has frequently been adapted into pop songs. Jun Märkl will also lead the orchestra in two pieces of very different styles – the energetic overture to the opera Ruslan and Ludmila composed by Glinka, father of Russian classical music, and Bartok’s most famous orchestral work, the Concerto for Orchestra. Composed in New York while he was dying, the five movements of this unique Concerto showcases every section of a modern symphony orchestra in music that is exciting, moving and tremendously enjoyable. Rachmaninov 2 is sponsored by The Macallan. Classics: The Macallan Bravo Series: Rachmaninov 2 will be held on 15 & 16 April (Fri & Sat), 8PM in the Hong Kong Cultural Centre Concert Hall. Ticket prices: HK$480, $380, $280, $180 are now available at URBTIX. 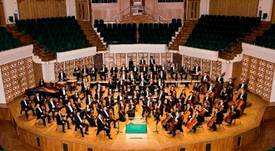 For enquiries, please cal +852 2721 2332 or visit www.hkphil.org. 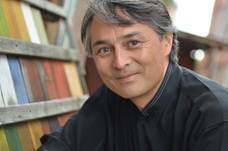 Jun Märkl is the Principal Conductor of the Basque National Orchestra and was previously the Music Director of the Orchestre National de Lyon from 2005-11. He has also been the guest conductor of Cleveland Orchestra, Philadelphia Orchestra, NHK Symphony Orchestra, Munich Philharmonic, Czech Philharmonic, Oslo Philharmonic and Tonhalle Orchestra Zürich. Anna Fedorova is one of the world’s premier young pianists. Having mastered a formidable concerto repertoire, she has performed with orchestras around the world including the Dallas Symphony Orchestra and the Netherlands Philharmonic. She has performed at prestigious concert halls including the Amsterdam Concertgebouw, Carnegie Hall, Zurich Tonhalle and the London Cadogan Hall. Jaap van Zweden, one of today’s most sought-after conductors, is the Orchestra’s Music Director, a position he has held since the 2012/13 concert season. Maestro van Zweden was recently announced as the next Music Director of the New York Philharmonic. This appointment will not affect his tenure with the HK Phil; his commitment to the HK Phil extends at least to the summer of 2019.